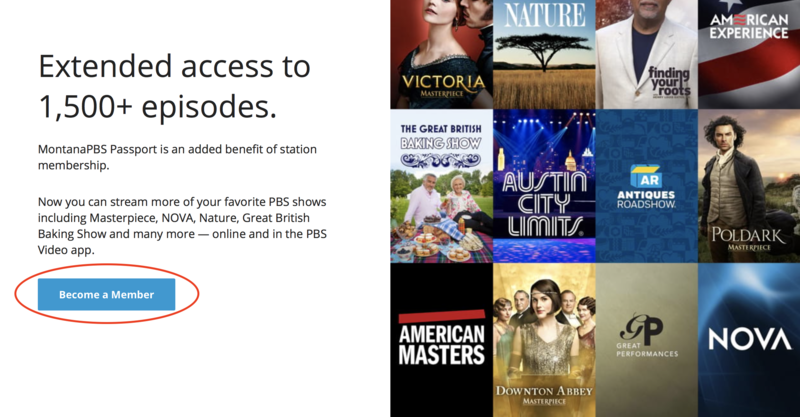 A member benefit that provides extended on-demand access to quality PBS programming. MontanaPBS Passport is a member benefit that provides you with extended access to an on-demand library of quality public television programming. Featuring both PBS and local programming, MontanaPBS Passport allows you to watch even more episodes of your favorite shows, including full seasons of many current and past series, on your favorite device. 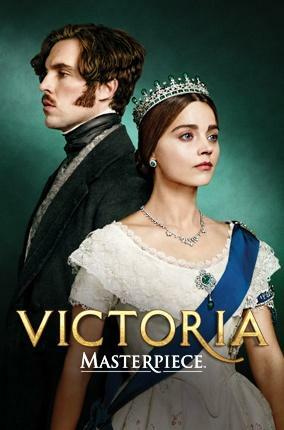 Ready to watch? Follow the steps below and enjoy MontanaPBS Passport. Have more questions or technical issues? Visit our FAQ page. Already a Passport Member? Click here to start watching! *To print detailed instructions of the steps below, click here. Become a member of MontanaPBS ($5 monthly or $60 annually) and get access to MontanaPBS Passport as our thanks for your support. Don't forget to include the email address you want to use to sign in! If you made your donation online, click the link that says, "Click here to activate MontanaPBS Passport." If you make a donation by phone, please remember to share your email address with us and we'll send you your activation code. Please note: Your donation information with MontanaPBS may take 24-48 hours to process. Copy and paste your MontanaPBS Passport activation code into the form at the activation page and click on the green "Continue" button. Got your code? Click to activate now! 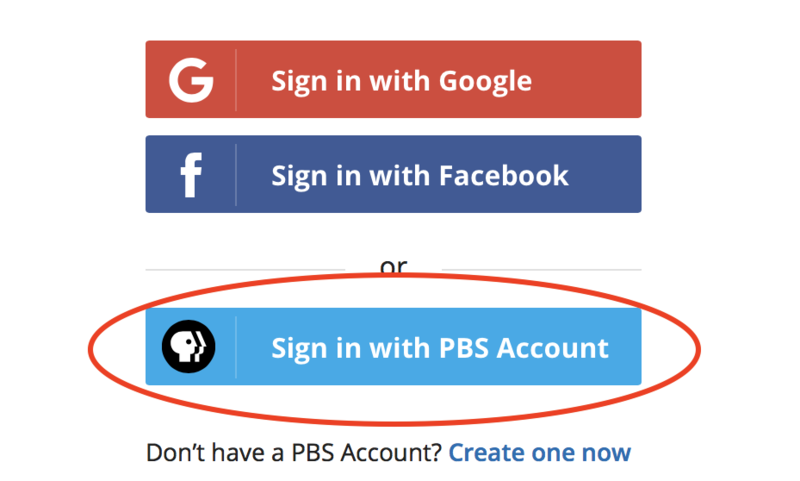 Please create a PBS account if you have not already. 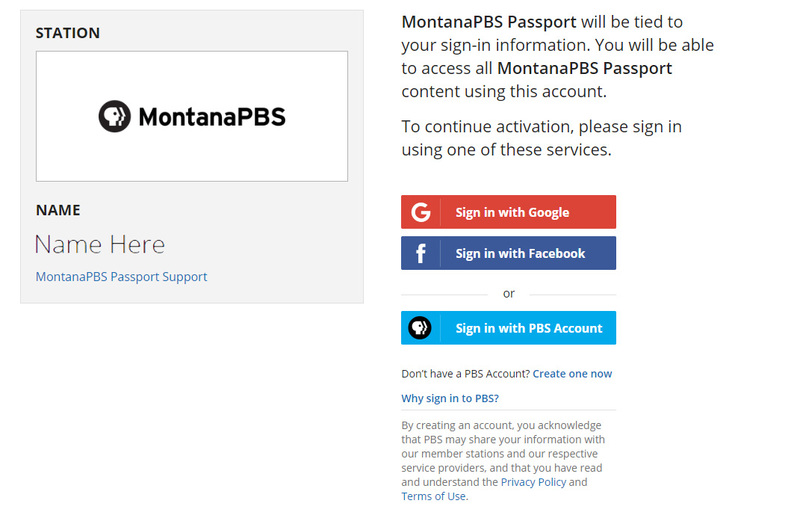 Logging in with a PBS account is the easiest and fastest way to access your account with MontanaPBS Passport. This will be the method you use any time you sign in to enjoy members-only content. For details on how to watch on various devices, see below. Review and accept our terms. You must accept the terms to access MontanaPBS Passport. 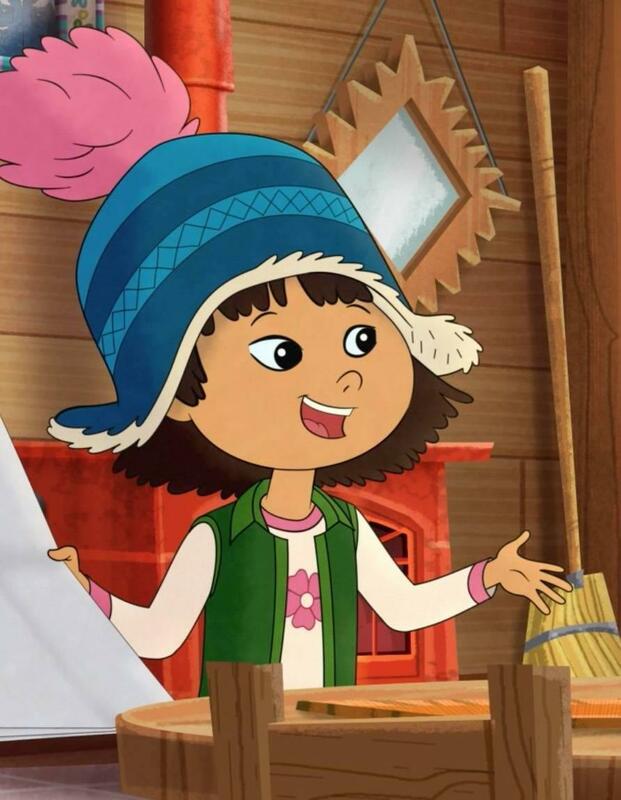 For more information, visit PBS Help. 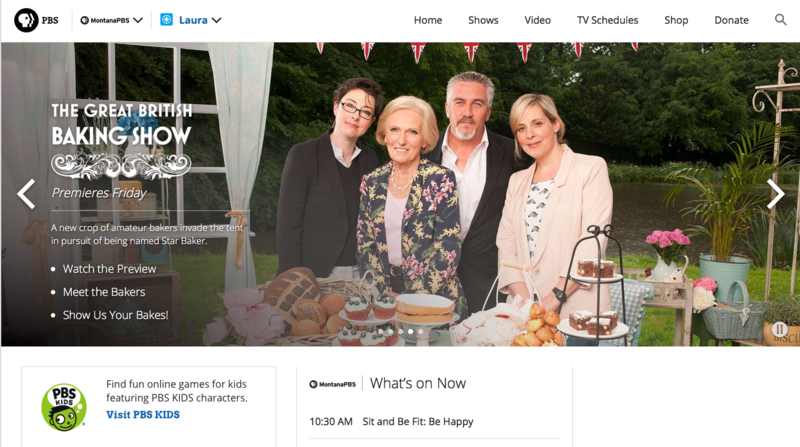 All of your favorite PBS programs are now streaming at your fingertips! Click here to browse MontanaPBS Passport. To view a PDF of detailed instructions, click here. For additional help, Contact Support or call the Passport Support Line at 1-855-876-7800.